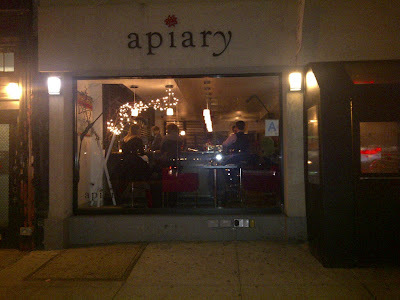 Apiary is one of those restaurants that I always walk past and has been on my 'to try' list ever since it opened. This week, I finally checked the box! This is not a great picture, but it really is so cute when you walk past! 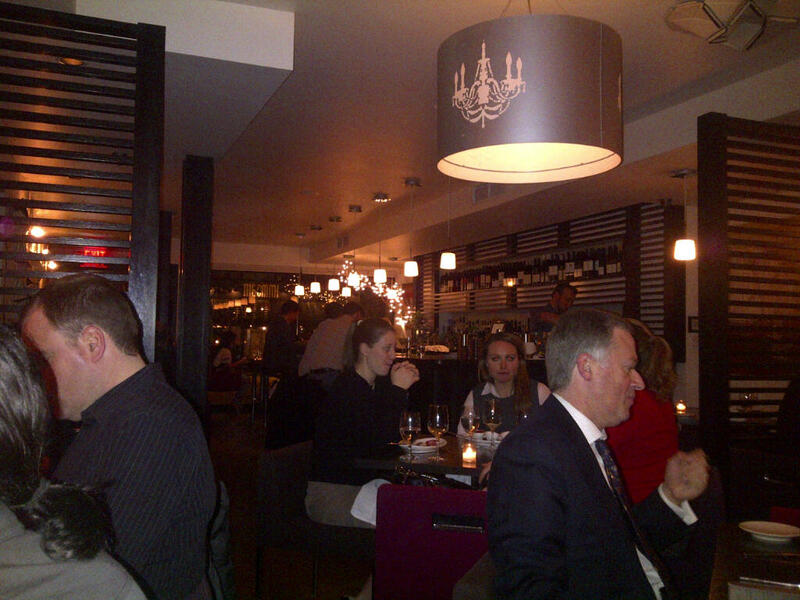 As you enter, you can't help but notice how beautifully decorated the restaurant is. It really is a perfect mix of chic, trendy, and elegant. The walls are decorated with these interesting textured flowers and the lights along the walls are made of this clear material that casts a chandelier shaped shadow on the wall! 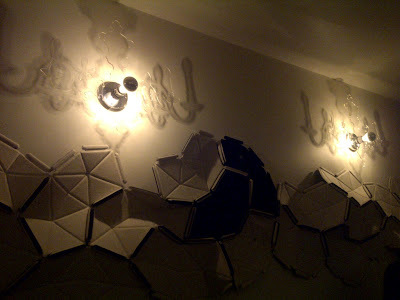 Clear light fixtures that casts a chandelier shadow! So clever! Now while most people love NYC Restaurant Week, I usually try to avoid it. Each time I gave NYC RW a go, the menu was either very generic and non-reflective of the restaurants usual fare or the portions were so small that I needed to make a stop at Taco Bell afterwards for a top-up. However, as I perused both Apiary's regular menu and NYC RW menu, I was surprised to see a selection of Apiary's regular dishes on the NYC RW menu! 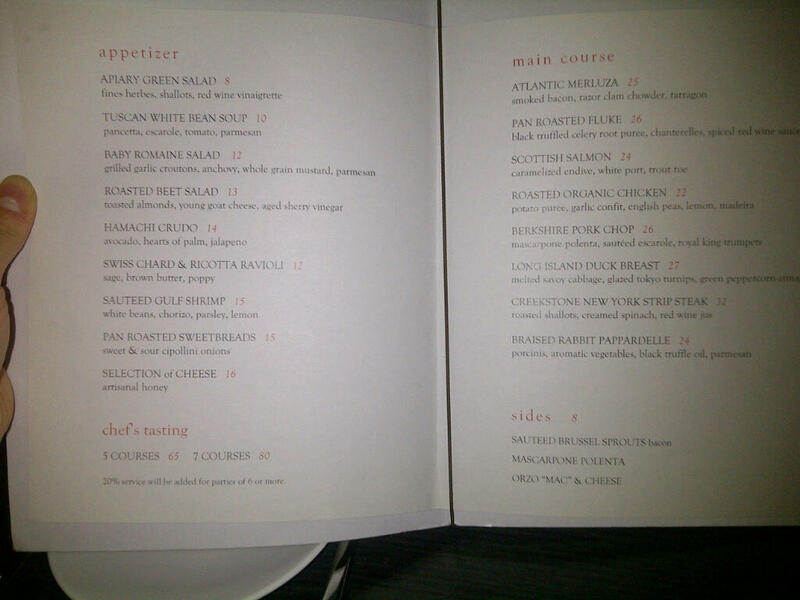 Even more surprising, both the appetizer and entree I would have selected from the regular menu were on the NYC RW menu! At this rate, why not give NYC RW another go? I'm feeling lucky so far! And so I decided to start with the Tuscan White Bean Soup and my Eating Accomplice start with the Baby Romaine Salad. As the starters were served, these bad boys were definitely BIG portions! Not only big for NYC RW standards, but I would consider this to be decent sized portions for a restaurant of Apiary's caliber. And good thing these were decent portions because everything was TASTY! 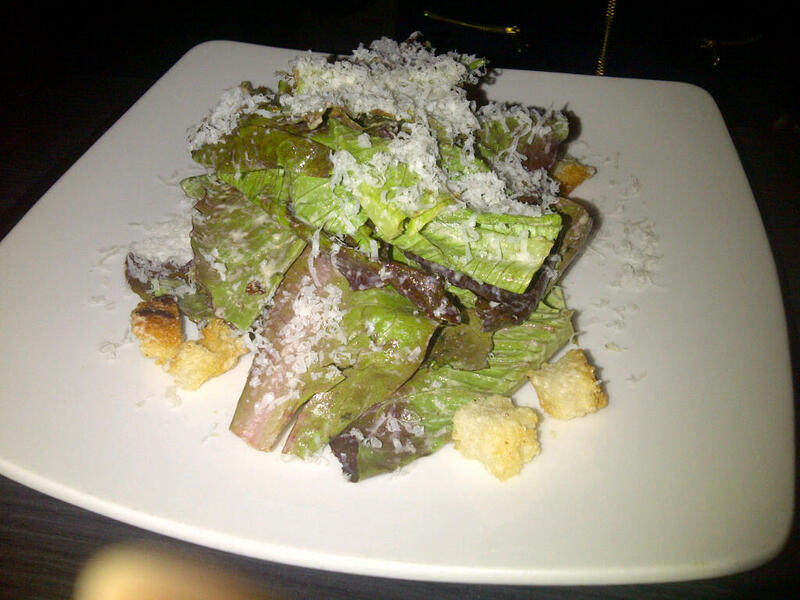 The salad was tasty and crisp and the dressing tasted freshly made! 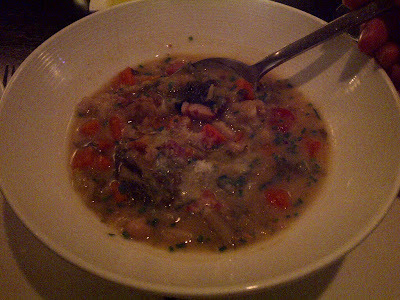 The soup was hearty and packed with pancetta, escarole, tomatoes, and Parmesan. Both plates/bowls scraped clean. For our entree, we all ordered the Atlantic Merluza (fish from the Cod family). This dish was perfectly done and amazing. 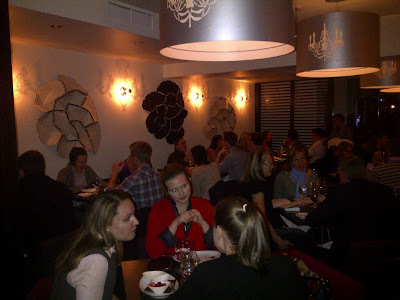 The Merluza was a well-seasoned thick and meaty piece that was crispy on the outside yet soft and flakey on the inside. 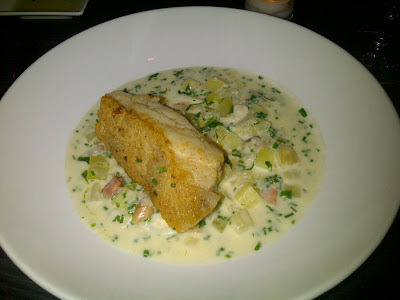 The fish was set on a razor clam chowder with pieces of smoked bacon and fresh tarragon. It doesn't get any better - fish AND clam chowder as your entree! 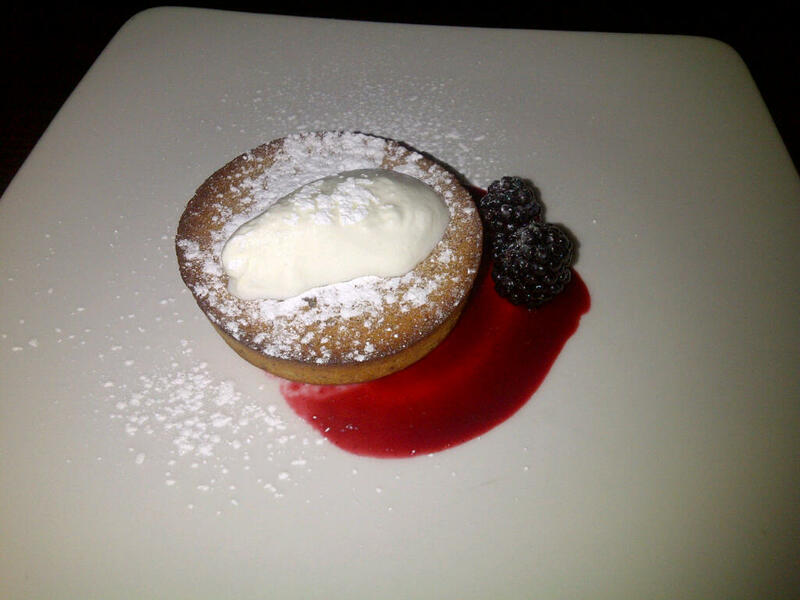 And, of course, each NYC RW meal ends with a dessert! Not only did the desserts look good, but they tasted good as well! 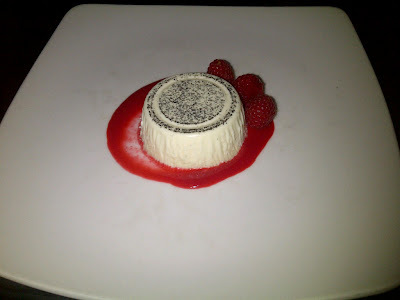 The Vanilla Panna Cotta was actually thick (not melty flan-like that it is sometimes served as) and yummy. The Blackberry Financier had a delicious and balance almond flavor that was so soft on the inside. Desserts definiteley not to be passed up! I was pleasantly surprised by my experience at Apiary. 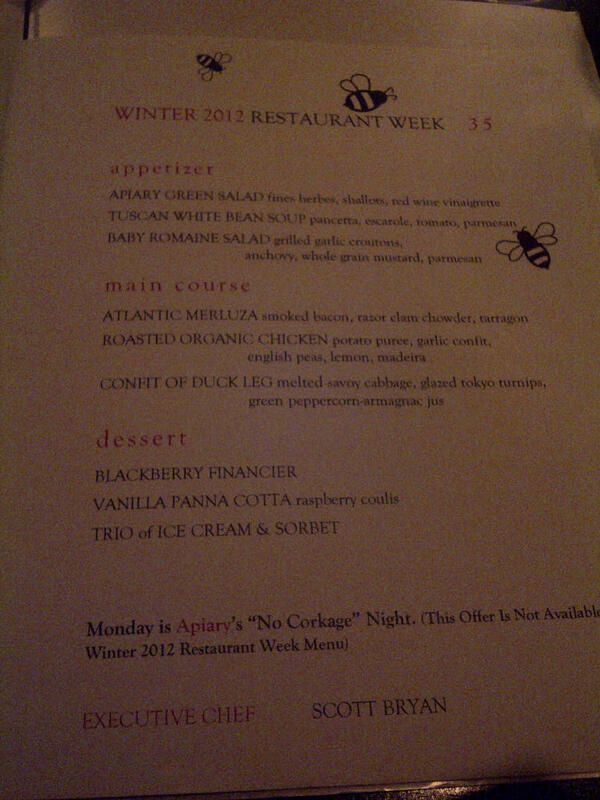 Not only did I actually enjoy NYC Restaurant Week, but I also can't wait to go back and try the other things that Apiary has to offer!